Five years exhibitions Tekenkabinet (Drawingcabinet), part two. Support Museum Belvédère, Heerenveen, the Netherlands. Selection of paintings of the last 10 years. 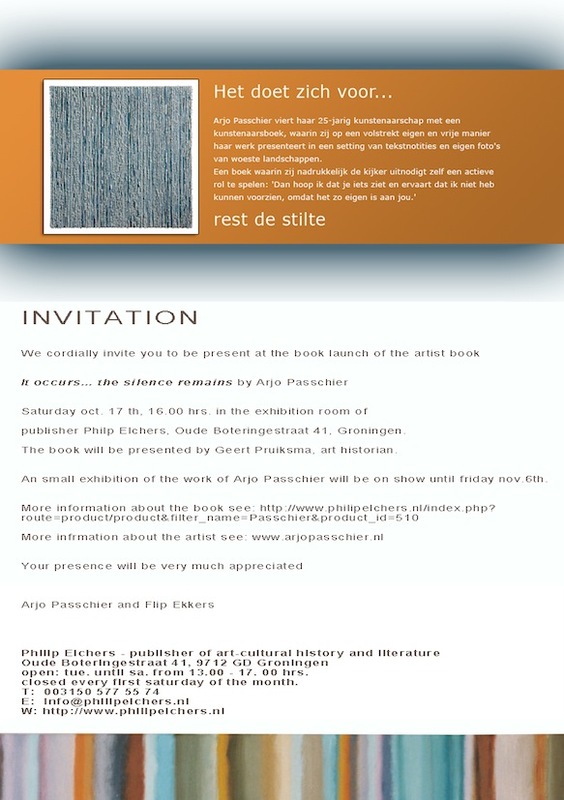 Publication artist book, Arjo Passchier. It Occurs... the silence remains. 'Het Tekenkabinet' in Museum Waterland Purmerend, the Netherlands. Artwork with a pink glow. Galery 59, van Eeghenstraat 59, Amsterdam. 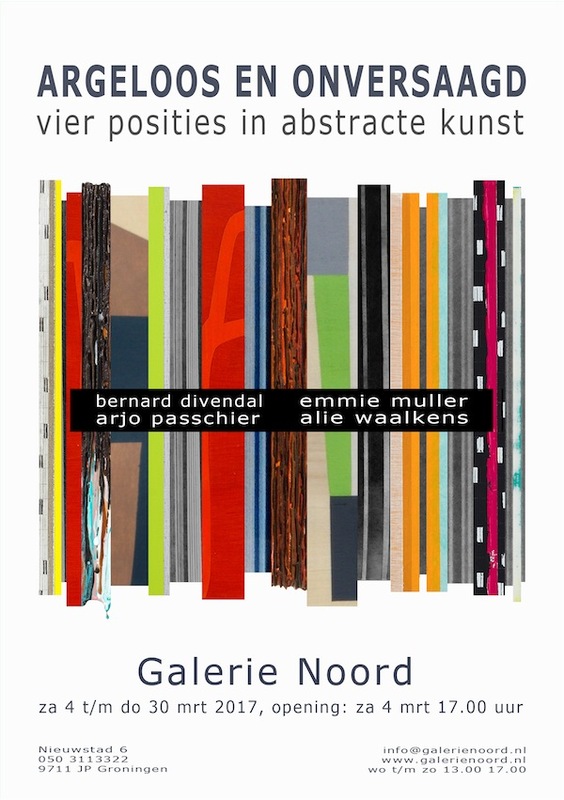 Vernissage: 1 maart 2015 om 15.00 - 17.00 uur.